Say Goodbye to these Summer Beauty BUZZ KILLS! Memorial Day Weekend is almost here and it’s time to pack those bags! Between beach vacations, day trips, barbeques and parties you’ll need the proper beauty tools to keep you looking flawless without missing a beat! AVON Skin So Soft Bug Guard which sprays on effortlessly repelling beyond just mosquitos while being oil-free AND dermatologist tested. 2.) 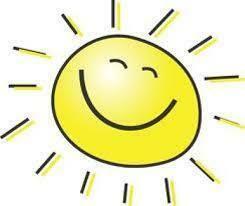 BYE-BYE FRIZ – Sunshine and chlorine overdose due to a day by the pool can really mess with your strands. Try Philip B Anti Frizz Formula to seal in moisture and repair the days damage. Pure Vitamin E, Lavender, Jojoba, Rice Bran and Soybean Oils enhance shine and locks out humidity for a frizz-free finish that lasts the entire holiday weekend. 3.) BYE-BYE BORING NAILS – Chip free and fun nails are always a necessity on trips! Try Lauren B’s Beauty Cali- inspired shades like Palm Springs Getaway! One coat of this particularly beautiful, glossy peach-pink will help brighten your skin tone, making hands look younger. An advanced, quick-drying polish that delivers a chip-resistant, long-lasting, mirror-like finish. Bonus: Each formula is nontoxic, eco- and vegan-friendly (with no formaldehyde, formaldehyde resin, DBP, toluene or camphor), TPHP free, and proudly made in the USA. 4.) BYE-BYE CURLER – Have a lighter load when packing with the help of Rimmel Super Curler Mascara! No need for a curler because this product is a mascara and lash curler in one. Not only does it give you a 90 degree instant curve, but it holds for up to 24 hours so you don’t have to do any touch ups during your day of fun in the sun. 5.) BYE-BYE DRY SKIN– With the summer heat there comes the inevitable: dry skin. 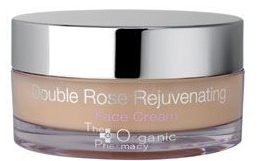 The Organic Pharmacy Double Rose Rejuvenating Face Cream is for ALL skin types. A light but nourishing cream with purifying Rose and nourishing Rose Hip blended with Ginger, Gotu Kola and Marigold to promote cell regeneration, reduce broken capillaries and make the skin glow. *Product received in exchange for this post. Any opinions are my own.